Home security cameras and systems offer an extra layer of protection for your home and can serve as excellent preventive measures against burglary. But choosing the Best Home Security Cameras can be a little tricky with all the endless features and technical specifications to choose from. 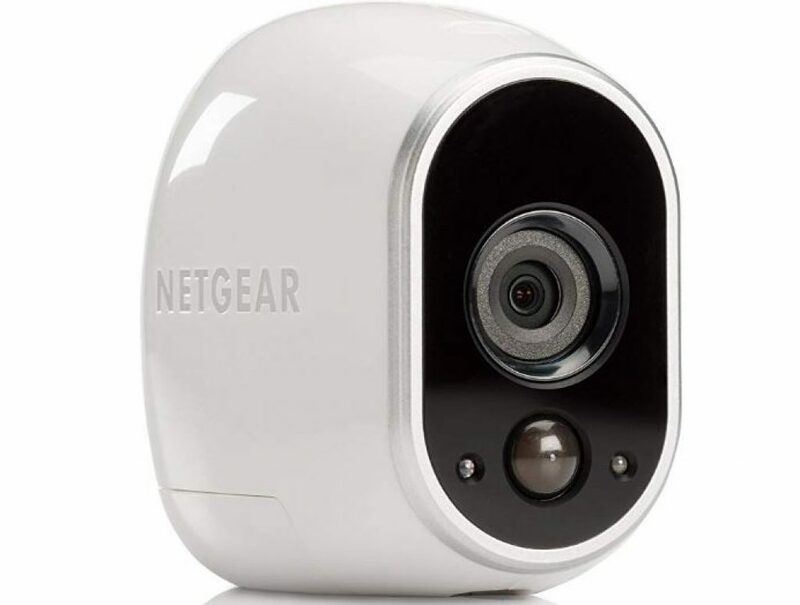 I have researched and reviewed dozens of security cameras to give you the best choices for each type of camera that is available so that you can make the best choice for your home. But let’s first look at some things to look out for when considering the best home security cameras. Nest Cam Indoor has a versatile design and can be integrated into the larger Nest ecosystem so that you can view video images next to your thermostat and other IFTTT devices. It also has a 130-degree wide-angle field of vision and 8 IR-LEDs and full 1080p HD, allowing you to track activities and record high-resolution images both during the day and at night. Nest’s cloud storage program, Nest Aware, is shifting the Nest Cam Indoor into a different gear that competitors simply do not have. 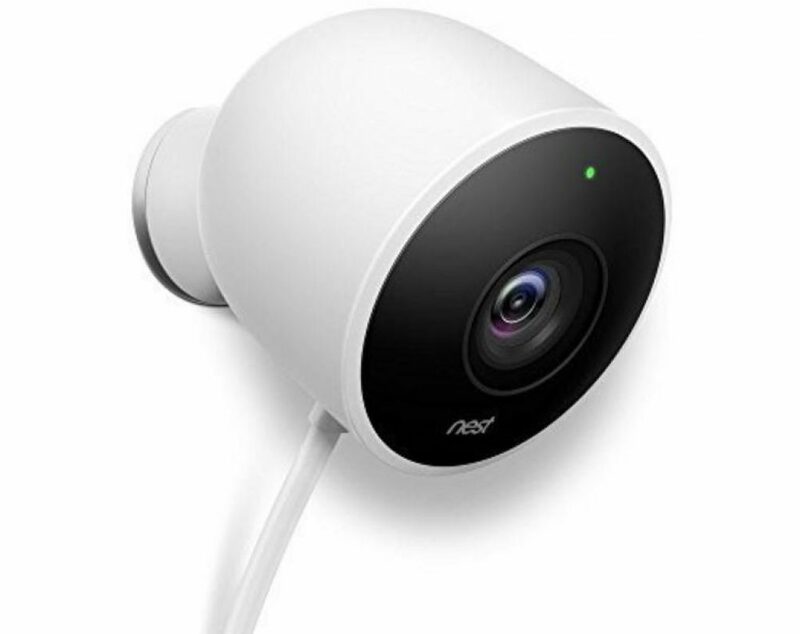 Although I am personally not happy with Nest Aware’s $10 subscription price, Nest Cam’s superior design and image quality make it worth the small subscription fee, especially if you plan to use multiple Nest Cams. It is currently the best home security camera that you can buy. Image quality is quite a big problem for an outdoor security camera. Grainy, mutilated images defeat the purpose of capturing a potential intruder for the camera. You can not catch the bad guy if you can not see what they look like. That is why I chose Amcrest ProHD Outdoor as the best choice for an outdoor camera. It has an HD resolution of 1296p, while most competitors have a maximum of 1080p. 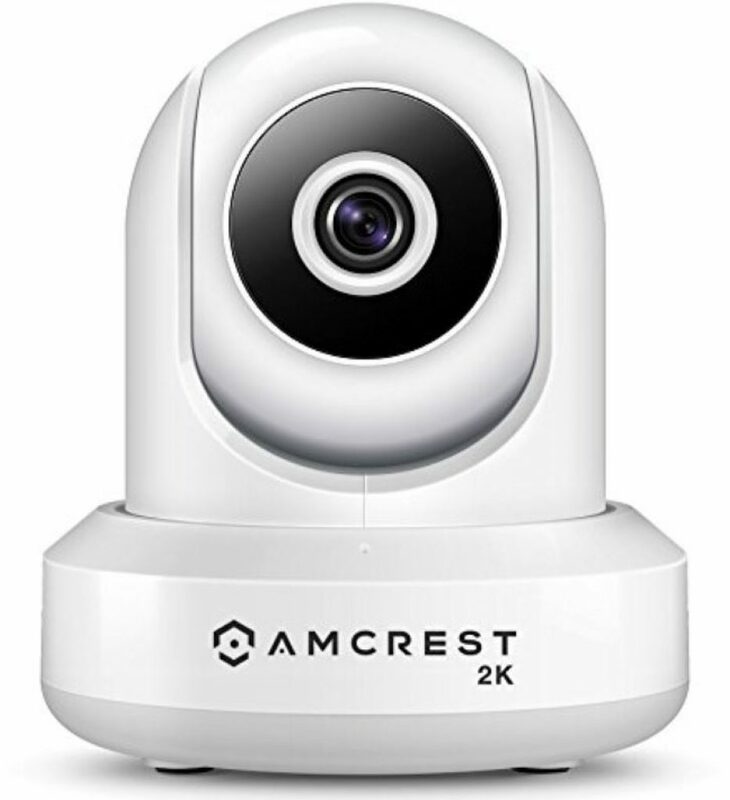 In addition to the extra high resolution, its 98 feet night vision range, mobile access to live and recorded video and motion detection make Amcrest ProHD hard to beat. Keep in mind that Amcrest ProHD Outdoor acts as a stationary camera, which means you have a fixed field of view of 100 degrees, so if you’re looking for something with a range of motion, this is not it. It also lacks sound. That said, Amcrest ProHD Outdoor offers excellent image quality and night vision over long distances, making it an excellent choice for outdoor monitoring for features of any size. Overall, this is one of the best home security cameras that you can buy right now. The YI Home Camera 2 wins the best night vision camera because it has 11 infrared LEDs that can be stretched up to 30 feet in the dark to take photos and recreate in environments with little or no light. The 1080p HD resolution of the YI gives you clear, sharp images that help to distinguish the recognizable characteristics of a burglar caught in front of the camera. I really like the YI Home Camera 2 because it’s actually a Nest Cam that offers you local storage with a microSD card. 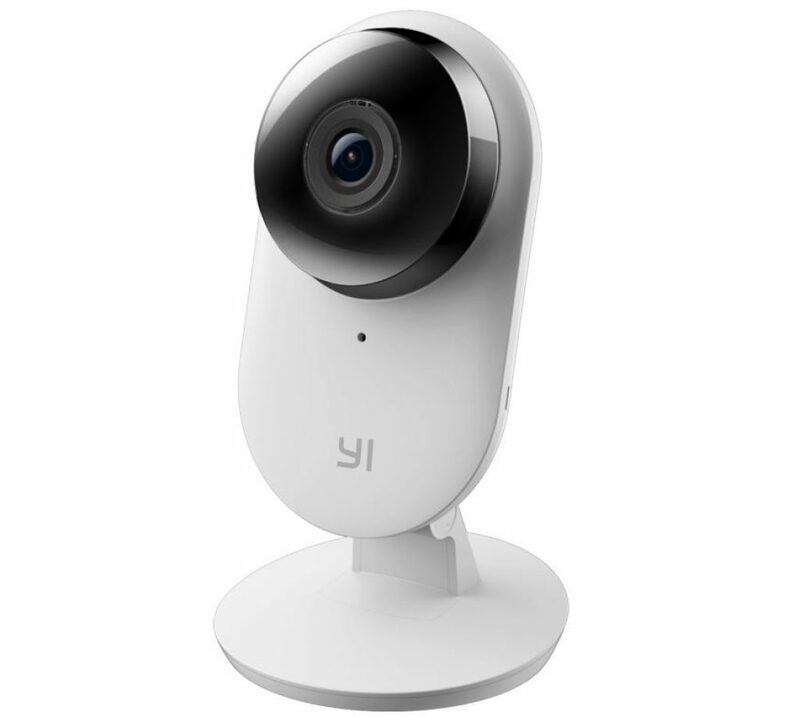 Although the YI Home Camera 2 comes with a less versatile design than the Nest – it cannot be disconnected from the mounting bracket as the Nest can – it’s more affordable. You will not get storage capacity for the cloud, but you can watch live video and download local recordings to the microSD card. If you want a high-quality night vision, take a good look at the YI Home Camera 2, especially if you want to save your own footage. This is surely one of the best home security cameras right now. The Nest Cam IQ provides some of the sharpest images of the camera surveillance I’ve seen. Although it lacks true 4K resolution, Nest Cam IQ has a 4K image sensor, allowing better zoom quality (12x digital zoom lens). This means that zoomed-in images do not lose as much quality as competing for 1080p cameras. Better zoom quality helps to distinguish important distinctive features from an intruder. 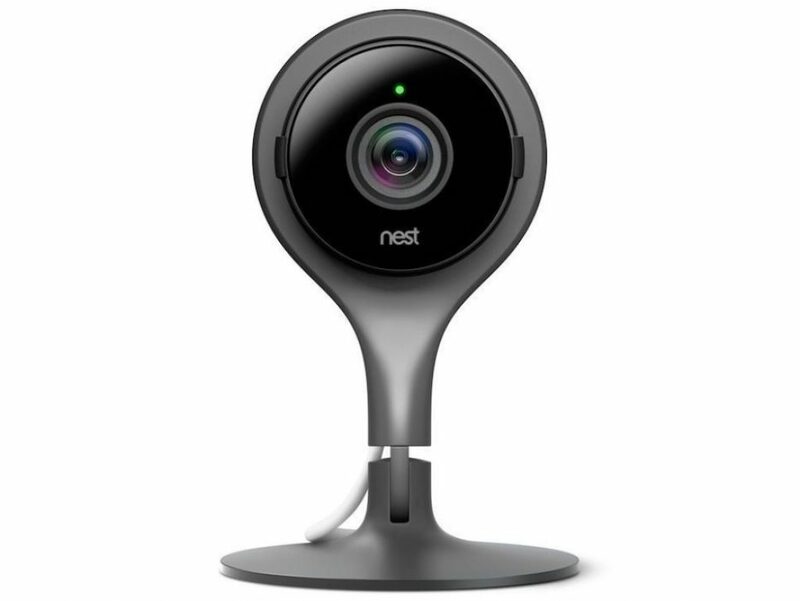 However, the Nest Cam IQ has two small drawbacks. It’s expensive – somewhere around $170 per camera, depending on deals – and most of the cool features, such as cloud storage, hide behind a $10 per month subscription wall. That said, the Nest Cam IQ embodies one of the best home security cameras if you’re willing to jump for Nest Aware. 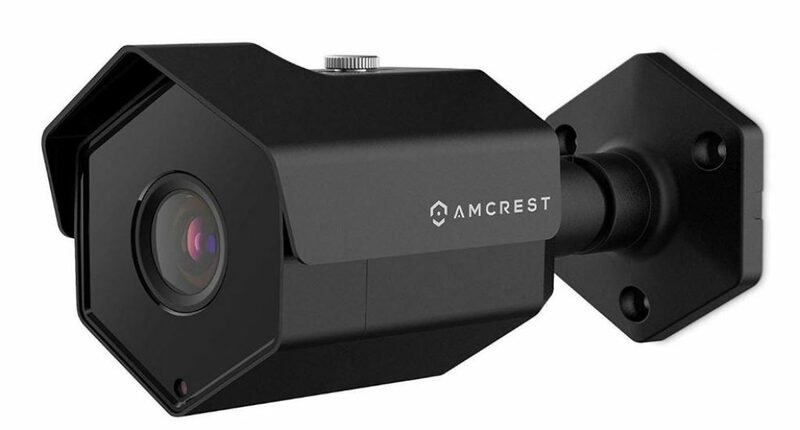 The Amcrest ProHD camera takes first place for pan-tilt-zoom (PTZ) cameras because it offers a 360 ° view, digital zoom and a full range of motion. With the Amcrest mobile app, one of my favorite features, you can set up motion alerts and watch live video from your smartphone, so you can keep track of things while you’re away. The Amcrest ProHD PTZ also offers FTP server storage (File Transfer Protocol), an Amcrest NVR (network video recorder) or local storage capacity up to 64 GB with a MicroSD card. With so many storage options, 1080p HD video and a full PTZ range of motion, the Amcrest ProHD PTZ is one of the best home security cameras in this list. The Arlo stands out because it is the only 100% wireless camera in this list. There are literally no wires connected. You can install it almost anywhere, both indoors and outdoors, because it is both wireless and weatherproof. Even with 720p (lower resolution), the wide-angle range of 110 ° and the outdoor capacity Arlo offer unrivaled versatility. Please note that Arlo only works at temperatures above 14 ° F. So if you live in a very cold climate, Arlo may not work for you if you plan to use it outdoors. With the Arlo app, you can connect up to five Arlo cameras free of charge. To connect something that goes beyond five cameras (up to 15), you have to pay a subscription. This means that you can add devices and build your security system over time while your budget allows. It’s worth checking Amazon’s prices on Arlo as versatility and the ability to expand your thing. All-in-all, this is one of the best home security cameras that you can buy right now. I use the Ring Pro 1080p at home and often recommend it to my friends, family, and neighbors. The Ring Pro 1080p enhances the Ring 720p with enhanced video quality (1080p), more consistent Wi-Fi support and a slimmed-down design – it no longer looks like you’re drilling a plastic stone in front of your house. The Ring Pro has only 160 degrees FOV instead of 180 degrees like the Ring 720p. It is a small step back in FOV, but I will take the improved image quality and customizable motion detection as an acceptable consideration, although it is something to consider when FOV is important to you. 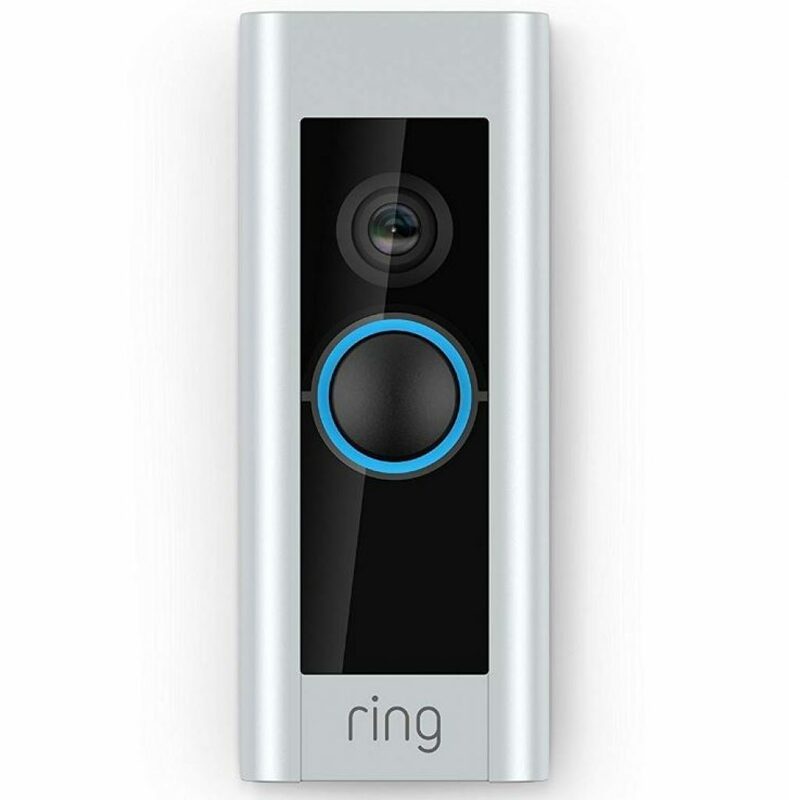 Ring 1080p Pro does not have a battery-install option such as the Ring 720p, which means it will not work unless you have the hardware on your existing doorbell. For general use, this should not cause problems, but if you live in an apartment without the possibility to harden your doorbell or if it does not fit on your doorpost, you should consider other options. And yet, the high-resolution video, the slimmed-down design and the adjustable motion zones of the Ring 1080p create an in-app feature that directs your motion detector to specific locations of your choice. 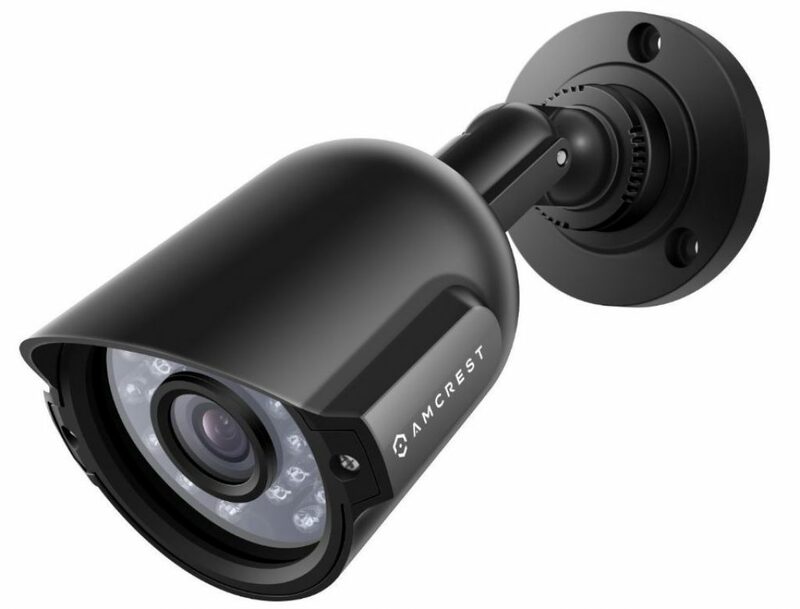 The Amcrest 960H 4-channel security camera system uses a heavy-duty metal design that makes it possible to work at temperatures below zero degrees as low as -22° F. It uses 24 infrared LEDs to take pictures in low-light and light-free environments so that you can discover potential intruders in the dark. Amcrest 960H offers 800 + TVL resolution, similar to 720p HD, which captures high-quality video images and allows you to capture more details. One of my favorite features of this security camera system is the ability to create active zones that detect movement within the specified zones and then alert you to an activity. Amcrest comes with a lot of local storage – a hard drive of 1 TB – that can hold up to 30 days of recordings, depending on your resolution settings. You can set the resolution as high as 960H and record at 30 fps (frames per second), but keep in mind that it will eat your storage if you leave it so high. The durability and range of the Amcrest 960H make it a perfect 4-channel security camera system and one of the best home security cameras on the market. The best Vision 8-channel surveillance system offers you a lot of local storage (1 TB), clear video quality (720p HD) and long-distance night vision (65 feet). 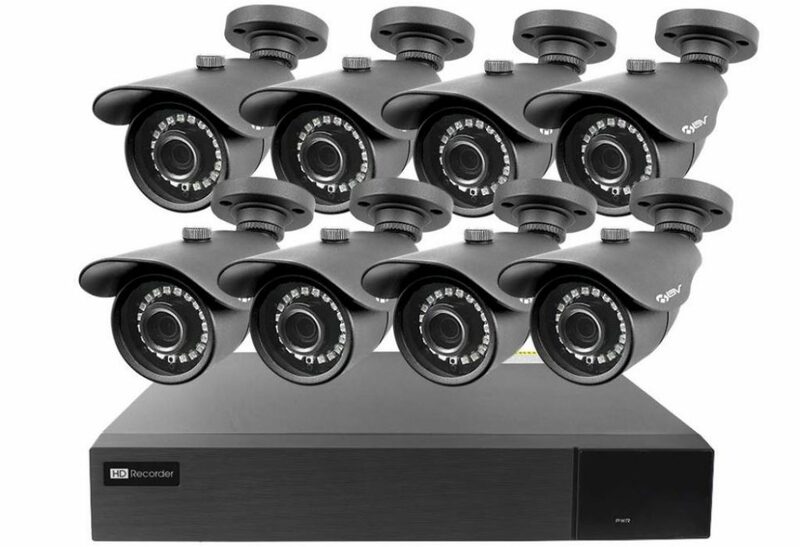 It is the total package for an 8-channel security camera starter kit. The only drawback of this system is that only four cameras can be started, so you have to pay more for the extra four cameras to complete your 8-channel CCTV system. Best Vision includes cables for the cameras, a DVR and remote control to control your cameras. If you are looking for an affordable multichannel system (up to eight cameras) that you can install and check yourself, then the Best Vision SK-DVR-DIY is certainly one of the best home security cameras for you. The Q-See supports up to 32 cameras, so if you have a large house, small business or another large object that you want to monitor, Q-See must cover this. I recommend using competitive security cameras because of its long-distance night vision up to 100 feet. With all 32 cameras able to reach into the dark, the Q-See will cover more surfaces, which means that you will not miss something important. With the Q-See you can view video images from your smartphone via the mobile app, so it’s a great choice for anyone looking for direct access to the video. 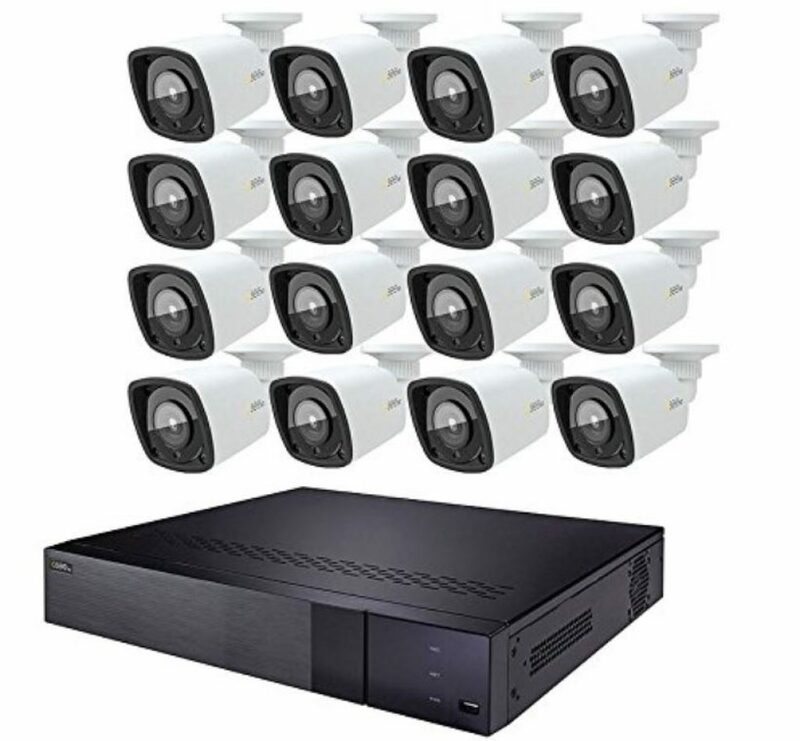 You can buy the DVR yourself or with 16 cameras to start but to achieve a complete 32-channel camera system, you have to purchase the 16 extra cameras separately. Whether you are considering one or more security cameras, wired or wireless, indoors and/or outdoors, our goal is to give you the information you need to determine what is best for your home and your family. In this list, we have mentioned 10 of the Best Home Security Cameras that you can consider worth buying. Still didn’t find what you’re looking for? Feel free to contact us anytime.